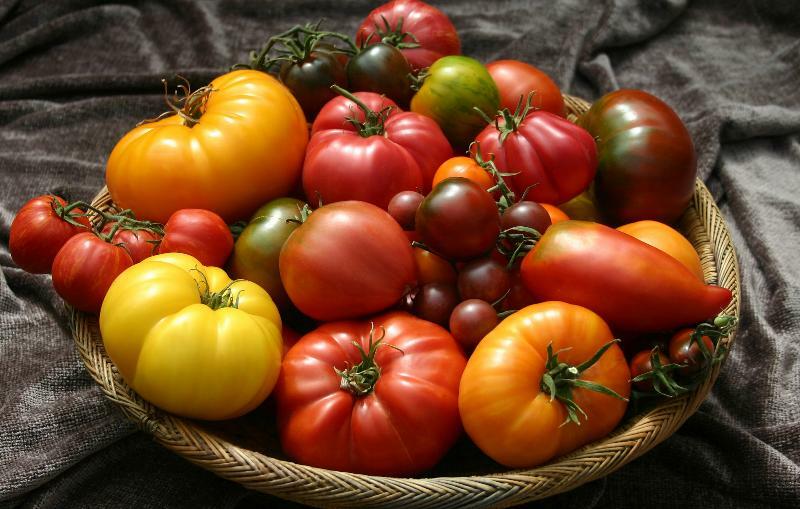 Songs of Eretz Poetry Review is pleased to present “Tomatoes” by Carol Hamilton, Poet of the Month. Ms. Hamilton will also be serving as the guest judge for the Songs of Eretz Poetry Award Contest, which will run from September 1 to October 15, 2015. A detailed biography of Ms. Hamilton may be found here: http://eretzsongs.blogspot.com/2015/08/songs-of-eretz-poetry-review-poet-of.html. The contest guidelines may be previewed here: http://eretzsongs.blogspot.com/p/songs-of-eretz.html. weary with picking, peeling, canning. like Fourth of July rockets. oh, how the language lilts. Poet’s Notes: “Tomatoes” oozes with alliteration and an overabundance of enthusiasm and noise and delight. It expresses perfectly, for me, my enthusiasm for the taste of a perfectly ripe tomato eaten right from the garden. Editor’s Note: Oswald the Octopus would definitely have enjoyed this one https://www.youtube.com/watch?v=zs3oQcMBAD8. “Tomatoes” was originally published in The University of Windsor Review.